What sales funnel software that you use in your business? I am sure you know what a funnel is, how it looks, and what it does. But distinct from a real-life funnel, not all prospective customers who enter the large end of the funnel are filtered in and go through the narrower end at the opposite side. So a sales funnel can be described as stages in the business life that help increase the conversion of prospective customers who enter your funnel, to actual paying ones at the opposite narrow end. This is no easy task and various software have been developed to help tackle this. They all have their own methods and steps that are to be taken, to achieve the final goal of getting money from prospective customers. I will talk about 5 of the best ones available out there, and I will tell you which my favorite is too. This information will be very useful for Entrepreneurs who do business and get paying customers online. What is your favorite sales funnel software? Builderall is an all-in-one internet or digital marketing platform. What this essentially means is that it provides all the tools necessary for online marketing right there in the platform. You could use it to create websites for your business, send emails and autoresponder that handles a huge amount of subscribers, create animated videos for business promotion, and so much more. It offers services such as an animated video creator, an app builder and even more. Using the service costs about $49.90 per month. It can be used by new entrepreneurs, people who earn money by promoting other people’s products, marketing agencies, and really anyone who wants to make money online. Using Builderall will save you some money. It is relatively cheap for all the services it offers and also allows for the creation of an endless amount of websites. It is easy to use since you can do everything you need to do on the platform. This saves you the stress of going to different places to get some aspects of your business done. You can build apps on the platform to help with your business but obviously, these are just simple apps. Builderall doesn’t support WordPress which limits tools and integrations. It’s a stand-alone platform which means you are indirectly enslaved to using their software eternally, for any business you start with them. The websites built on the platform are not responsive and different sites have to be built for different devices, both aren’t cost or time-effective. You have to switch to an entirely new platform if you have an existing business you want to use on it. This will cost so much money and will consume a lot of your time. It is new to the market and hasn’t really been tested. This is the second software on my list. It is also an all-in-one Sale and Marketing automation platform, but it’s mainly for small businesses. Infusionsoft has its own Contact Record Management system and it is centralized. It offers a great Marketing Automation System that acts based on behaviors of prospective clients or customers. Infusionsoft also offers E-Commerce so your goods can be bought from the platform and detailed sales reports are generated for you to track your progress. The Contact Record management is centralized. This provides for a faster and more efficient search capability, and access to richly detailed customer records and information. You can target customers who fall into a specific range. For example, customers who visit the site often. The e-commerce aspect requires some knowledge of programming and so might not be useful to a lot of people. Customers cannot buy or purchase so many goods as the cart section doesn’t support buying of such a quantity. Leadpages is basically an online tool that helps with gathering email subscribers.You can host webinars and generate landing pages. The templates that can use to make sales pages and host videos. It integrates with WordPress sites and is used mainly for small businesses. There are 3 different plans available at the moment. We have standard, professional and advanced plans costing $25, $48 and $199 per month respectively. All plans paid annually. You can host videos using the tool. Text messaging to get email subscribers is allowed which is a neat and simple feature to use. It’s a very easy and simple tool to use. Leadpages integrates smoothly and seamlessly with third-party applications like WordPress, MailChimp, ConvertKit, and Aweber which makes working with it easy and faster. It doesn’t have a lot of features unlike the previously mentioned, so you need to go to other platforms to accomplish some other important tasks. It doesn’t help you send emails to your list of subscribers just to get them. Not suitable for large businesses. Instapage is an online tool that helps with creating landing pages for your business. It gives you the first page free then subsequently charges for more pages starting at $129 for an unlimited visitors plan. The platform offers numerous templates that can use and edited to suit personal preferences. It employs the drag-and-drop feature. Integrates with third-party applications to make it better at carrying out its objectives. Instapage also has an in-built A/B testing tool. It offers Analytics and graphs. The in-built A/B testing tool helps to see the results of 2 versions and make a choice on which performs better and is more accepted by the public. It offers great integration with third-party applications. Third-party applications are a must as it is not an all in one platform so you need to pay and use other platforms to get all you need. Clickfunnels is the most popular and as far as I am concerned the best sales funnel software available out there. All the tools needed to promote your online business are available to you all on the platform. It offers services such as web hosting, Landing pages, A/B testing, Membership websites, lots of themes for website creation, payment options, training materials and more. It costs from $97 per month on the basic plan and $297 for the suite plan. If you have an e-commerce store, an insurance business, real estate business, network marketing and really any business you need to sell online, then Clickfunnels of right for you. You have access to funnels and new ones can create instantly with the wonderful drag and drop option. It provides A/B testing which helps with knowing which version creates more impact. No technical or coding knowledge is necessary. With the suite plan, you have unlimited funnels, can create affiliate programs which enables you to spread the word about your product thereby increasing sales. It has automated email campaigns. Tools such as Actionetics which helps to understand your customers and provide targeted messages are available. – To have the best experience, you need to opt for the suite plan. Note: Clickfunnels allow you to trial 14 days for FREE. So you can click here to read the full review and start trial now. Online and digital marketing has become popular and it’s the future of business and sales. Knowing the trick and tips on how to effectively and efficiently use it and get the best out of it is only logical and a smart investment. Therefore, understanding the sales funnel and implementing it with one of the above platforms will go a long way in helping you become an accomplished and successful entrepreneur. Knowing all this, there are so many online sales software to help so picking the best can be based on personal needs, business targets and types of business. Clickfunnels, as I have said, covers almost if not all kinds of businesses, moderate in expenses and gives you good value for your money. While lead pages and builderall is very good with getting email subscriptions, and instapage works marvelously in building landing pages having all the options and tools you need all in one place is the most preferable. 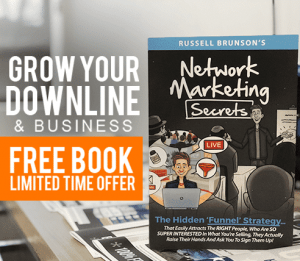 Having said all that, making good use of any of the sales funnel platforms I have listed will bring about more productivity in your business. I implore you to take the chance and you shall be greatly amazed as to how more profitable your online business will become.